The English language is ever-changing. If you were to travel more than two centuries or so into the past, it's highly unlikely you'd be able to understand a word anyone said, such is the speed at which it evolves and adapts. This presents a challenge when researching newspapers from the 18 th and 19th centuries. Therefore, searching using spellings and phrases of the time is a must if you want to stand any chance of finding what you're looking for. When searching for a word like 'assess', it might also be worth trying 'affess' and variations thereof. 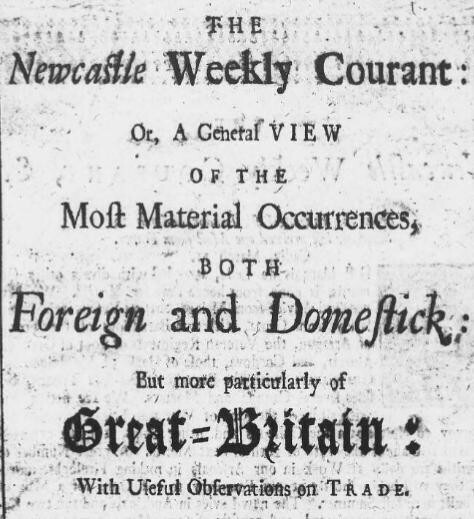 That's because in the 18th century, people hadn't yet made their minds up on the use of the letters f and s, as demonstrated below on the cover of a 1720 edition of the Newcastle Courant. This practise didn't die out until well into the 19th century, so if you're searching for the naval vessel on which your ancestor served, for example, you're probably looking for 'the naval veffel on which your anceftor ferv'd'. A confusing lack of consistency on display in the Newcastle CourantImage © THE BRITISH LIBRARY BOARD. ALL RIGHTS RESERVED. It's always worth remembering, too, that spelling changes along with language. When searching British and Irish newspapers, take the differences in modern spelling into account, but also try a variation on them. In our research, variations on modern spelling that we see frequently - particularly in 18th century newspapers - include 'compleat', 'publick', 'Catholick' and 'negociations'. Words like these - with a hard c, a longer e or a soft t - are often adapted in this way. Another variation is to replace the final 'e' in a word with an apostrophe, for example 'conceal'd', 'assail'd', 'complain'd'. This won't, however, be the case with words where the 'e' is shorter, such as 'repeated', 'assaulted' or 'taken'. All of the above quirks can be seen on display here, in the Stamford Mercury - Thursday 09 January, 1729 Image © THE BRITISH LIBRARY BOARD. ALL RIGHTS RESERVED. Wildcards can help you to get around these spelling oddities when searching. Find out more about those here. 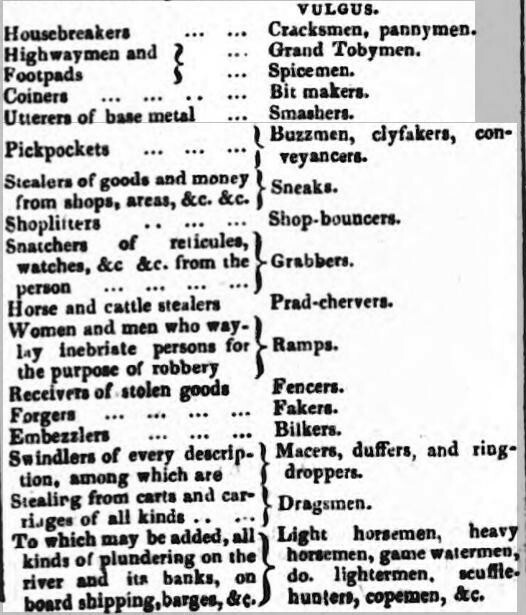 Some of the archaic words and phrases we've come across in our newspaper research. The war = The First World War. Of course, it didn't become the First World War until the second had taken place! Derry Journal - February 6, 1861Image © THE BRITISH LIBRARY BOARD. ALL RIGHTS RESERVED. Contemporary slang as reported in Public Ledger and Daily Advertiser - Monday 12 November, 1832Image © THE BRITISH LIBRARY BOARD. ALL RIGHTS RESERVED. By no means comprehensive, this list is intended to highlight a few archaic phrases and words we're particularly fond of, but also to introduce you to the idea of adapting your search terms to reflect the language of the era you're researching. Not finding what your looking for in the newspapers? Head to Google and see if there's an old-fashioned replacement for the search terms you're using.